Yay, we're back for the third year running at the 2019 festival! 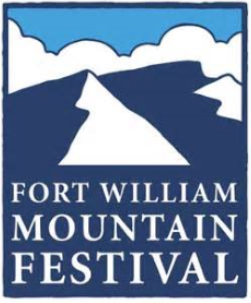 We're super excited to be part of the fantastic Fort William Mountain Festival for 2019. Come and spend the afternoon exploring how yoga can help you climb higher and run further by using physical poses, breathing exercises and meditation. We'll look at tips to boost your training and recovery and see how both physical and mental techniques can help you get the best out of your chosen sport.